Businesses are required to follow the terms of the Americans with Disabilities Act (ADA), which disallows discrimination against handicapped people. Being ADA compliant means different things to different businesses. There are several, general tips available to help your business become more ADA compliant. According to Cohen, Placitella & Roth PC Attorneys at Law, the types of disabled people vary significantly and include those in wheelchairs, people with cerebral palsy, recent surgery patients and amputees. The ADA requires that business owners keep their needs and wants in mind. Most buildings are designed to withstand the installation of one or more elevators. The elevator is the best building feature used to accommodate every type of disabled person. Place railings wherever it is dangerous to walk without them, such as steps. There are several materials to use for rails, including wood and steel. For the most part, consider safety and comfort over style. Many companies do not notice when railings are loose before it’s too late. The ADA law mentions that stair tread must be firmly attached and resistant to slips. Some companies follow these requirements and incorporate their own styles into the railings and stair treads. A few examples are staircases with alternating colors for the tread and stairs with LED lights attached to each step. Building managers should not wait until an accident occurs before they make repairs. Look into the full range of maintenance services available to business owners. Signs help disabled people to find their designated places. Making accommodations for them is useless if they cannot figure out where they are. Visually impaired people need special attention, so consider adding Braille signs or voice alerts. Place your ADA compliant signs near restrooms, front doors and exit doors. Find other rooms that require accommodations, including locker rooms and fitting rooms. Place signs at eye level and not on top of doors, which is useless for people in wheelchairs and the visually impaired. The signs you do not have to accommodate are ones that market the business. Many hotels provide ADA compliance kits for hearing impaired travelers. Millions of them go in and out of these establishments and have access to kits that contain essential supplies, such as door light signalers, phone signalers, phone amplifiers and vibrating alarm clocks. 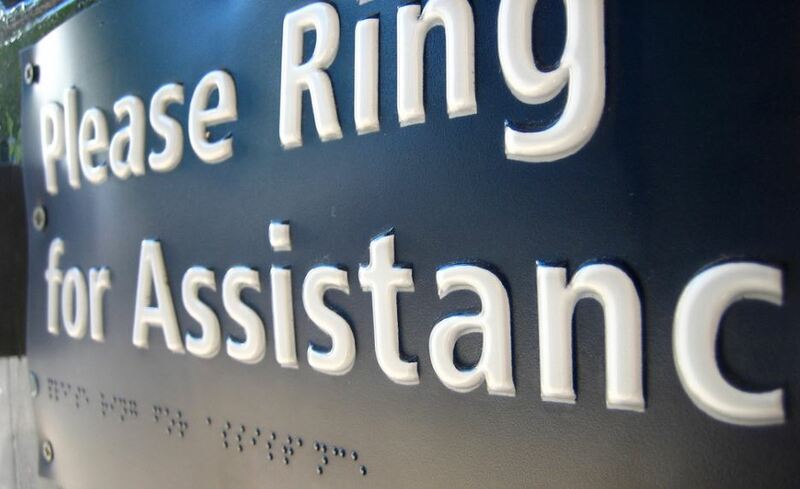 The ADA law helps thousands of disabled individuals who enter businesses every day. Regardless of the building or public area, whether it is a store or bus station, they have access to the same opportunities. Learn different ways to open your business to everyone and stay within the realm of the law. previous articleWhat Type of SEO Is Right For My Business?